Coating Capability. Varied devices provide options for digital coating.. In part one of this series, we discussed the benefits associated with inline and offline coating solutions. In part two, we spotlight some of the digital coating devices currently available. American Ultraviolet Coating offers multiple coating systems that range from 20 to 80 inches in its Spectra-Coat UV Coating line. Configuration can be inline with a digital print engine or offline as a complete UV coating solution. Prices start at $15,400 for a handfed, 20-inch model. One of the company’s most popular products is the 25-inch model with automated feeder. American Ultraviolet launched the line in 2014 after purchasing Al’s Co. It has technicians throughout North, Central, and South America. Albert Nuño, director of sales, American Ultraviolet Coating, LLC, says the line’s cool UV lamps work well with temperature-sensitive substrates. “With infinite adjustable rollers and dual motors for precision speed calibrations, you get a smoother finish with our coating machine,” he adds. Count Machinery Company offers the Countcoat GT, a 15-inch unit that comes standard with manual feed, but automated feed is an option. The device targets shops handling a variety of jobs that require a small footprint and affordable price point. Duplo USA provides several UV coaters in its Ultra line, launched between 2011 and 2013. The Ultra 300A is useable inline and offline solution. The Ultra 100PRO and Ultra 200A are offline models, and are the only Underwriters Laboratories-certified UV coaters in the U.S., according to Kevin Chen, product manager, Duplo USA. “We have a unique feature called the Auto Gap, which helps the bottom of the document remain streak-free from the flow of UV oil that adheres to the bottom roller. Our UV coaters also have a five minute auto-cleanup feature that flushes the entire system after use or to change to another UV oil type,” he notes. EMT International offers its Chameleon Coaters for web widths of 20, 30, and 42 inches. They are configurable inline or near line. Though it is a UV series of coaters, aqueous coating is an available option. The Chameleon Coaters feature a standard speed of up to 500 feet per minute (fpm), with some models capable of 800 fpm. Epic Products International has a variety of automated coating systems, with options for sheet- and web-fed and offline and inline. All of its devices are capable of UV or aqueous coating, and all offer an anilox metering system for precision coating application. The Epic WebCoat 200, 350, and 400 target Hewlett-Packard’s high-speed color inkjet web presses. They are inline systems, and offline configuration is feasible with an unwind/rewind. The anilox metering system, in addition to offering consistent lay down, supports single side—top or bottom—and duplex coating of the web. The company offers four sheet-fed models—Epic CT-660, CT-660XD, CTi-635, and Epic 750—which are distinguished by their configuration and media handling capabilities. All four can handle flood and spot coating, including packaging glue tabs and knock outs. They produce up to 4,000 sheets per hour (sph). The sheet-fed systems provide UV or aqueous coating, including matte, satin, metallic, and pearlescent. GMP Co. Ltd. offers a variety of UV coating solutions for digital print on demand. One of its newest products is the SURECOATER series, which includes both automatic and hand-fed options. The series features a touchscreen interface, modifiable UV intensity, and coating thickness adjustment. It handles a maximum sheets size of 370×520 millimeter. GMP also offers the EUROCOATER series, which has numerous features including a three-roll bi-directional rotation coating system and an air stripper installed for preventing paper jams. The EUROCOATER PLUS-5680SPOT is a spot varnishing and UV coating solution with speeds of up to 50 meters per minute and up to 3,000 sph. Graphic Whizard has multiple UV coating devices in its VividCoater XDC line, from entry level to production machines. Installation can be inline or offline. The XDC series offers a variety of options for footprint, media handling, and feed method. MSRP ranges from $12,850 for the Micro to $34,425 for the XDC 750A, a fully automated system with deep pile feed. Graphic Whizard’s other products include the DLG model, which has spot coating capability as well as flood coating, and a receding stacker that increases the efficiency of the XDC devices. The company’s newest model is the XDC 370M, a hand-fed device launched last year for a maximum sheet size of 14.5 inches. It offers the features of the production XDC series, but the small footprint is more like the Micro, which is Graphic Whizard’s most popular model. The XDC 370M features user-friendly touchscreen controls and a three-pump system for quick and automated coating changeover and clean up. “We are continually growing and improving this product line in direct response to consumer demand,” explains Chris Harrington, director of sales, North America, Graphic Whizard. Harris & Bruno’s ExcelCoat series offers several coaters that are configurable inline or offline. The company designed the heavy machines to remain reliable for ten to 15 years in a demanding environment with minimal downtime. The automated ExcelCoat ZR30 and ZR42, launched 2011, are priced between $60,000 and $180,000. The semi-automated coater, launched in 2012, cost between $39,000 and $90,000. Harris & Bruno’s chamber/anilox system is an option for all the ZR and ZRB devices. “This delivers consistent application of coatings with particulates—such as matte, soft touch, and pearlescent—specialty coatings, and water-based coatings,” says Joshua Bingham, marketing manager, Harris & Bruno. On an automated or semi-automated model, the chamber/anilox system also allows print providers to apply water-based primer so they can create media certified for a particular press. Kompac Technologies offers three series of coaters—Elite, EZ Koat, and Kwik Finish—which all handle UV and aqueous coating. However, the three lines target different volumes and types of production. The Elite devices are for coating on-demand digital labels or cut sheets up to ten inches. The EZ Koat line offers a small footprint and allows a user to change from inline to offline coating in under five minutes. The Kwik Finish line provides both spot and full coating for a variety of substrates, offering 3D textured spot, sapphire, and other specialty coatings. MGI provides two JETvarnish 3D options. They are offline solutions that can also be configured near-line for MGI Meteor printing customers. Both JETvarnish models are capable of flood coating, but are primarily for spot coating. The JETvarnish 3D, released in 2012, has an MSRP of $400,000 to $500,000. In addition to traditional coating, it produces flat spot UV coating and tactile embossed varnish up to 200 microns. The device also enables embossed foil with MGI’s iFOIL inline module. “One machine can do 2D, 3D, and embossed foil digitally in one single pass,” notes Abergel. MGI developed the 3DS for Konica Minolta’s distribution network, and launched it earlier this year. It offers the capabilities and features of the 3D, but the new generation is smaller. The 3DS handles sheets of up to 14×42 inches, compared to the 3D’s 20×42 inches. Morgana offers two UV coaters under its DigiCoater umbrella. The DigiCoater 33 is an entry-level coater for a maximum sheet width of 12.9 inches, useable for both digital and litho print engines. It features three tanks and one coating roller and can also be used for priming. The DigiCoater 50 targets print providers using sheet sizes up to 30 inches. It is available with up to six tanks and three coating rollers. One version of the 50 model is for coating only, while the other version allows the user to switch between coating and priming via the touchscreen panel. The DigiCoater 33 and 50 are both compatible with the optional Digi-IR unit, which uses a heat process to coat wax-based toners. Scodix provides two coating solutions engineered for the Scodix Digital Enhancement Presses. The S series and the Ultra series both offer automated UV coating, and handle sheets of 135 to 675 gsm, with a maximum size of 21.5×31 inches. The S series of coaters is designed for Scodix Sense system, to selectively print a clear ink polymer up to 250 microns thickness with 99 gloss units. The result is an embossed effect, including high gloss for high-value products and variable density. The Ultra series is compatible with Scodix Sense as well as Scodix Spot, which produces a thin layer of selective polymer. Yariv Bustan, product marketing manager, Scodix, says the Ultra series works with Scodix Spot technology to create a screenprinting effect but with higher quality. 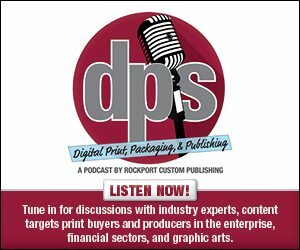 “Print enhancement is a key factor for print service providers to increase margins,” notes Bustan. Steinemann offers two UV coating systems. The Colibri line is aimed at small to large production volumes, and offers both full and strip coating. It operates at up to 10,000 sph and handles sheet sizes up to 41.7×29.53 inches. It features heated sheet cleaning calendar, large cylinders, and an extended flow-out section. The dmax provides spot coating for sheets up to 42.5×30.5 inches, operating at up to 10,000 sph depending on sheet size and the specific coating used. Optional features include sheet pre-piling and data RIP. TEC Lighting provides a variety of UV coating devices. The TruCoat UV Coater works at speeds up to 4,000 sph, and is available in several sizes. Features include a touchscreen panel, variable intensity infrared lamps, and quick-change rollers, as well as options such as a stacker. TEC Lighting also offers an inline version of the TruCoat. The XtraCoat MINI is designed for short-run printers, offering a small footprint and fast setup but also numerous features. Other series include the DualCoat Duplex for double-sided coating and the MegaCoat, a high-production line that includes a 63-inch version. Read part one of this article, DYI Durability.